Rideshare companies such as Uber and Lyft have changed the way many of us get around when traveling, on business, or as a means of being responsible by not driving while under the influence of alcohol. It has also opened an avenue of employment for independent drivers to make a living or just to earn a few extra bucks in their spare time. When an accident leading to injury occurs involving a rideshare driver however, what happens next? At The Law Office of Kamensky, Cohen & Riechelson, our personal injury attorneys understand that car accidents involving rideshare drivers can be legally complex matters. We will work with the specifics of your accident to seek full and fair compensation for your injuries as we have done for our Pennsylvania clients across towns like Levittown, Northeast Philadelphia, Bensalem, Penndel, Feasterville, Millbrook and the greater Bucks County area. Our firm has been protecting the legal rights of clients for over 45 years and we are ready to put that experience to work for you. Call our office for a free and confidential consultation with a member of our personal injury legal team regarding the details of your rideshare accident and associated injuries today. It is important to note that this insurance is primary liability insurance coverage and takes effect as soon as the app is turned on. In other words, since 2016 the Uber, Lyft, or other rideshare’s primary insurance policy covers accidents involving a rideshare vehicle regardless of whether they are carrying a passenger so long as the app is active at the time. Most ridesharing companies, including Uber and Lyft, do not consider their drivers to be employees. They will claim no legal responsibility for these drivers, whom they consider to be contractors. This is an important distinction because taxi drivers or other professional drivers should always carry commercial carrier insurance. The insurance black hole goes even deeper from there, and without the experienced legal counsel of our Levittown lawyers, you may be left in the dark. Uber or Lyft drivers injured in an accident – just like any other motor vehicle accident, proving fault is a major factor in the next steps. 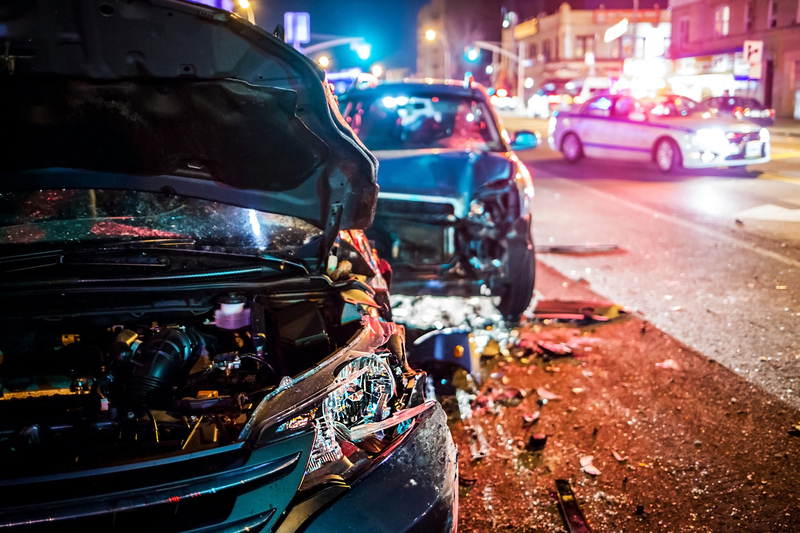 If we are able to show that your accident was due to the actions of another driver or of circumstances beyond your control, we may be able to handle this like a regular motor vehicle accident. Even if you are found to be at fault, you should be covered by the rideshare company’s primary liability insurance policy, but often not without a fight. Uber or Lyft passengers injured in an accident – If you were a passenger being actively transported and the accident was your driver’s fault, that will generally fall under the rideshare’s primary liability policy. If the accident was the fault of a third party, we may choose to go after their insurance policy as well. What if I was Injured by an Uber or Lyft Driver While Not Using the Service? We have discussed being injured as a driver or a passenger, but what about being injured by another vehicle which is being used for ridesharing? In this situation, we must first determine in what state the vehicle was being used. Thanks for Pennsylvania laws, injuries sustained from rideshare accidents are all but guaranteed to be covered in some capacity. Unfortunately, that is often where the good news ends. Huge companies like Uber & Lyft employ teams of attorneys with the primary goal of reducing insurance payouts. Without the proper legal representation, victims of rideshare accidents can go under-compensated for their injuries. The rideshare lawyers of Kamensky, Cohen & Riechelson understand how frustrating this situation can be. We will work with your individual case to seek full and fair compensation from insurance providers whether you were the driver, passenger, or third party impacted by a rideshare accident. Lean on the experience we have built through protecting Pennsylvania clients in towns like Northeast Philadelphia, Levittown, Bensalem, Feasterville, Millbrook, Penndel, and all of Bucks County. Contact us online or through our Bensalem offices by calling (215) 337-4915 today for a free and confidential consultation with a member of our legal team. We will be standing by to hear the details of your Uber, Lyft, or other rideshare related accidents injuries.